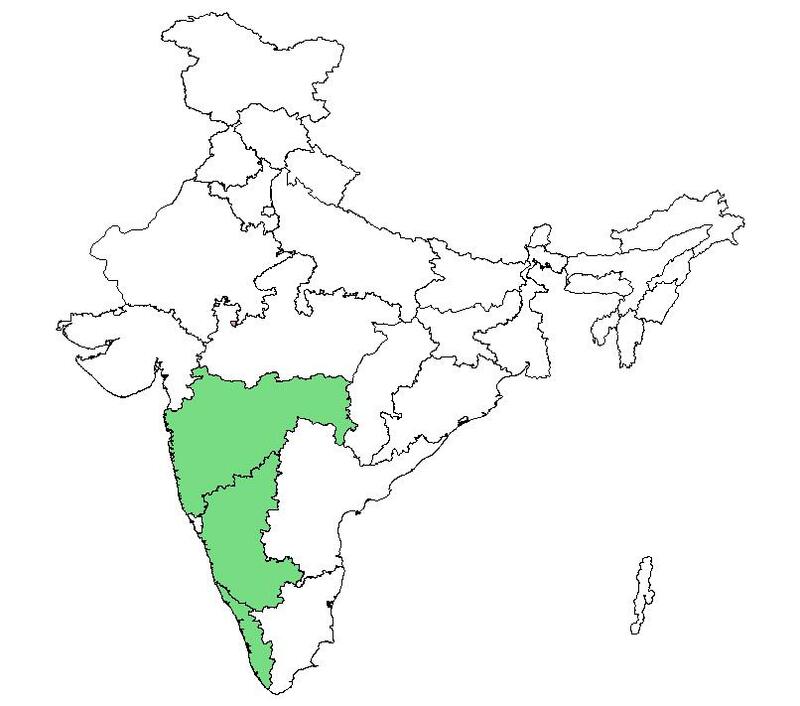 This map is generated by FRLHT's COE project, supported by MOEF, GOI. Suggested citation for the Website: Editors: D K Ved, Suma Tagadur Sureshchandra, Vijay Barve, Vijay Srinivas, Sathya Sangeetha, K. Ravikumar, Kartikeyan R., Vaibhav Kulkarni, Ajith S. Kumar, S.N. Venugopal, B. S. Somashekhar, M.V. Sumanth, Noorunissa Begum, Sugandhi Rani, Surekha K.V., and Nikhil Desale. 2016. (envis.frlht.org / frlhtenvis.nic.in). FRLHT's ENVIS Centre on Medicinal Plants, Bengaluru. Copy Right: FRLHT, Bengaluru and MoEFCC, GoI.